Sherrin was born in Brentwood, Essex in 1870. He studied with his father John Sherrin, a still-life painter, as well as, the landscape painter Benjamin Williams Leader. 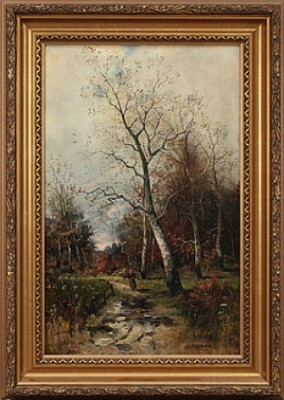 Daniel Sherrin was primarily a landscape painter. Many of his compositions are of Southern England and especially Kent. 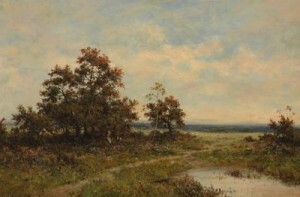 Some of his works include: A Barge on the River, Chislet, Kent; A Village in Devon; Summer on the Colne; Highland Cattle on the Edge of a Beach; and In the Scottish Highlands. 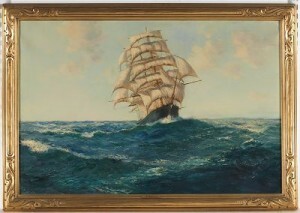 Early in his career he also painted maritime scenes and sailing vessels. 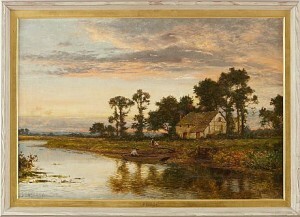 Some of his paintings were reproduced as engravings and in books. Institutions holding his work include Buckingham Palace and the Imperial War Museum.